What is often neglected by authors who fail to succeed are some of the most basic principles in becoming a successful self-published eBook author. In this article I have made reference to some basic, yet necessary, principles that all authors, published and unpublished, should consider. Before you start writing, you must know your target audience and who you are writing for. Know why they will want to read your eBook and their demographics. Also identify the size of your market as this will help provide you with a guide to your earnings potential. 2. Tell a Great Story That Captures the Reader’s Attention and Imagination! For fiction authors, you will want to grab the reader’s attention immediately with a great hook. You will want to create unique and memorable characters for your story that captures their imagination. Think of Harry Potter and what experience readers receive from reading this novel. 3. Know Your Genre and the Category That Your eBook Belongs In! Be sure that you clearly identify what genre your eBook fits into. Trying to cross-over into too many genres will only confuse readers. Many authors try to submit their eBook to multiple categories and genres but this only confuses the reader. Stay focused on your niche and specific genre. If you are a fiction author you will find it easier to identify your genre. For non-fiction authors you will need to make sure that you do not cross over in to multiple categories. 4. It All Starts With the Title! Your title must tick all the right boxes to become an attention grabbing and thought provoking title that forces the viewer to read on. Your title has to be unique, memorable, and maybe provocative, describe the content of your eBook and even let the reader know what benefits they will get from reading your eBook. 5. Write What You Know – Not What You Think You Know! If you are a non-fiction author then you are the expert and readers will expect you to know your field. They will buy your eBook because of your knowledge, your experience, and your potential ability to help them. Fiction authors have a bit more freedom with creativity. 6. Produce a Quality Product! If you plan on writing more eBooks in the future then you want to make a great impression with your first novel. 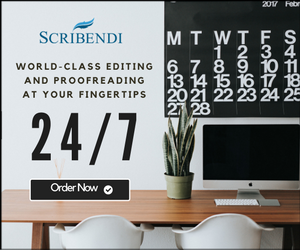 Make sure you have someone else proof read and edit your eBook. Be sure that you invest the time or money in creating a professional looking eBook cover. 7. You, the Author, Are in Control of the Success of Your eBook! As a self-published author it is up to you to manage all aspects of the self-publishing process. You must plan, write, market and promote, publish, distribute and make sure that you create additional opportunities to support your writing career. Don’t forget the basic principles and requirements to become a successful self-published eBook author. Address the basic requirements before you publish your eBook and you will give it more chance of becoming a top selling eBook. The Reader Wants to Know – What’s in it for Me? Why Non-fiction Authors Must Write to Sell!